It’s said that you only have 7 seconds to make a good first impression. That’s not a lot of time. But luckily we have some great tips for how to make it the best 7 seconds possible. Check them out! Doing your homework can help reduce first-meeting-nerves. If you’re meeting a potential customer, try Googling their name or looking them up on Facebook beforehand. This will help you prepare some topics for conversation and to identify interests you may have in common – a great starting point for an impressionable first encounter. Make sure you dress to suit the occasion. Check to see if there’s a dress code to avoid looking over- or underdressed. And, wear clothes that you feel comfortable in – shoes that make you wince will only distract you! The sense of smell is closely linked with memory, so if you want to be unforgettable (for the right reasons! ), select your scent carefully. For a first meeting, choose something subtle that won’t overpower and apply it sparingly. We love Women’s Collection Innocent White Lilac and My Naked Truth for their delicate aromas. Being punctual demonstrates that you are respectful of someone else’s time, so get to that first meeting at the prearranged hour! Instead of starting a conversation by talking about yourself, focus on asking questions – you should have some prepared in advance. Make eye contact, avoid interrupting and offer encouragement by nodding your head. These small gestures will show that you’re engaged in the conversation. Your body language says a lot about you. In fact, research suggests that as much as 90% of all communication is done nonverbally. Make sure you stand or sit up straight, greet with a firm handshake and maintain eye contact while speaking with others – and don’t forget to smile! You want to convey a relaxed confidence. 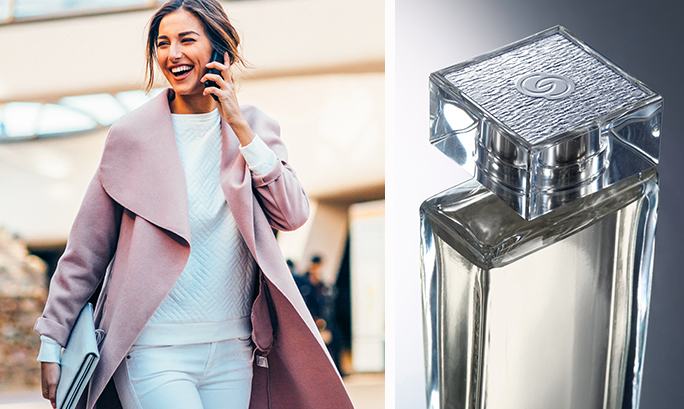 Wearing the right scent can help you relax before a first meeting. Lavender, geranium rose, bergamot, ylang ylang and jasmine are known to sooth and calm nerves; they’re also found in some of Oriflame’s most loved perfumes! There’s nothing worse than speaking to somebody who keeps glancing at their phone, or looking over your shoulder – it implies they’d rather be elsewhere. Turn your phone off (or on silent) and give your company your full attention. ‹ 7 Sustainable Beauty Products to Try Now!